Indeed pretty! I’m not a spinner, but I love your work! Wow! 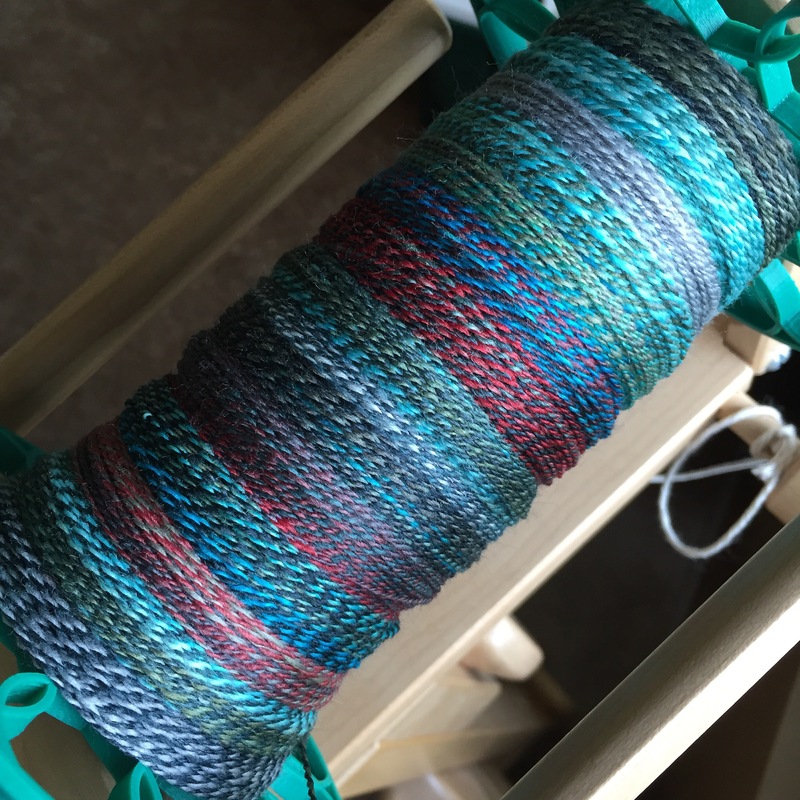 That handspun is absolutely gorgeous! So very pretty in any kind of light! You make me want to learn to spin, as if I need another type of UFOs to add to the list. LOL! Spinning is definitely my happiest place. I really enjoy it. Not to be an instigator/enabler or anything. That’s beautiful yarn on the bobbin. The red in there is a little bit of a surprise, and helps makes it really special. I do agree! This braid of fiber was really a masterpiece!